The air temperature affects a tyre’s pressure by 0.19 pounds per square inch (PSI) every degree Celsius change. When it’s warmer we tend to experience problems with tyres being under-inflated. Tyres are often filled after a short drive to the petrol station. The drive heats them up because of the friction on the road, the heat of the road and the action of the sun on the tyres. Once it’s nighttime and the tarmac and air cools they’ll lose almost 2 PSI per 10 Celsius as night falls and perhaps another 1 PSI due to temperature changes from lack of friction. As we move into autumn and winter, this will decrease further. This doesn’t even take into account that every month your tyres can lose up to 1 PSI just from natural leakage. Every manufacturer recommends a cold inflation pressure for their tyres and it’s often displayed on a metal plate riveted to the door pillar (B pillar). There might be a different pressure for the front and rear tyres depending on their width and the weight balance of the car. Cold inflation pressure means that the tyres should be inflated out of the sun and definitely not immediately after driving. Tolerance for an increase in pressure due to driving and exposure to sun are built in, whereas if your tyres lose pressure it increases fuel consumption, reduces handling and braking performance and, in extreme cases, can cause the tyre to overheat and disintegrate. 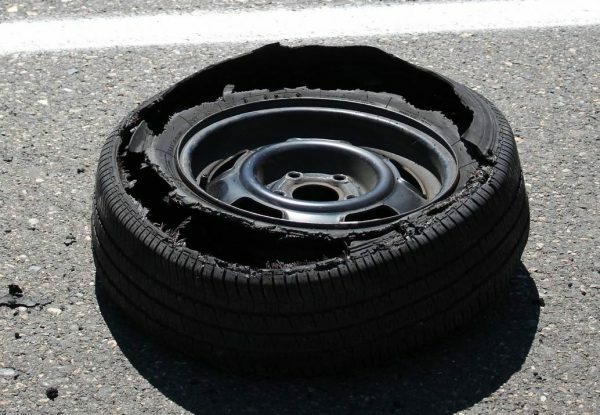 Tyre blowouts can be caused by a weakness in the sidewall which is breached if the tyre pressure becomes too high, or there’s a sudden impact on the tyre like hitting a pothole at speed. More blowouts occur in summer. What generates heat in tyres? As well as the sun’s heat being absorbed through the sidewalls (which can add up to 15% pressure), and the ambient temperature acting on the whole tyre, heat is driven into the tyre by friction and deformation. The weight of the car repeatedly squashes the whole tyre as it rotates and this flexing of the rubber builds up heat. This is called the rolling resistance, and during a long journey the tyres will become quite warm. When the car turns a corner the tyre fights against the friction of the road surface and this also creates heat. When driving through water and snow, or driving slowly, heat build-up is much less, or it is irrelevant. If you leave your car with one side facing the sun, the sun only heats two of the tyres, and that means that you will end up with tyres on one side of your car being a different pressure to tyres on the other side. The usual way of monitoring the pressure in tyres is to go to a petrol station and use their gauge, or use a small gauge at home. Obviously any drive to a service station will start heating the tyres and will give a false reading on the cold inflation pressure. Some cars have automatic tyre pressure monitors and if the pressure is too low this light will illuminate on the dashboard. If possible keep your car in a garage so that it’s not exposed to extremes of temperature. Check your tyres every month because they will leak air naturally. Remember also to check your spare tyre or space saver. Use the cold inflation pressure, filling your tyres at home with a foot pump. Fill your tyres with nitrogen which doesn’t expand as much when heated and doesn’t leak out of tyres as quickly. 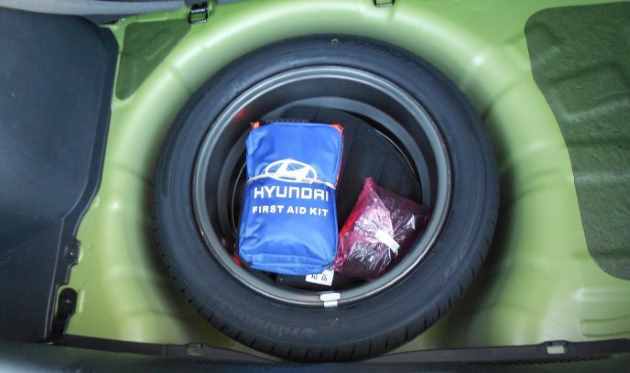 ‹ Are space saver wheels safe as a spare tyre?